Just because it has an unusual shape doesn't mean you should have any issue finding a Chiappa Rhino 2-Inch 200DS holster. The revolutionary design of this gun means that many holster makers aren't able to make a holster for it - but not Alien Gear. Like every other model in our inventory, we make every Chiappa Rhino 2-Inch 200DS concealed carry holster with our custom-molded retention shell, which fits perfectly and securely out of the box. Since we mount the holster shell using adjustable hardware, the carrier can also set the draw to their desire, rather than what the holster maker determines is appropriate. Both IWB and OWB holsters are available for the Rhino. 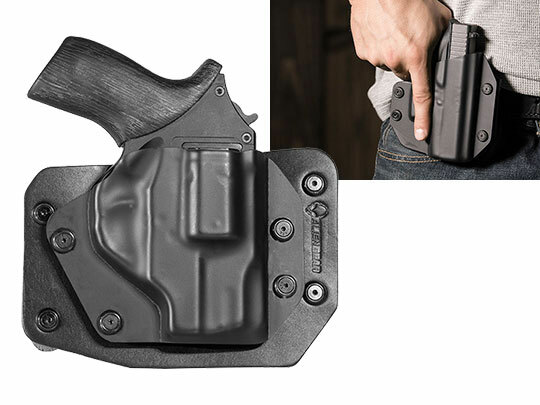 Available IWB holster bases include the Cloak Tuck 1.0 for the Rhino 200ds and the Cloak Tuck 2.0, for the ultimate in comfortable concealment. The 2.0 features a multi-layer design, with neoprene back-pad that cushions the wearer and repels all moisture. For those that crave leather, the original Tuck is a classic leather hybrid holster, with a thicker leather backing than many other leather hybrid holsters. You will notice the difference while wearing it, as the thicker hide cushions and shapes to the wearer better than any other holster of similar design. 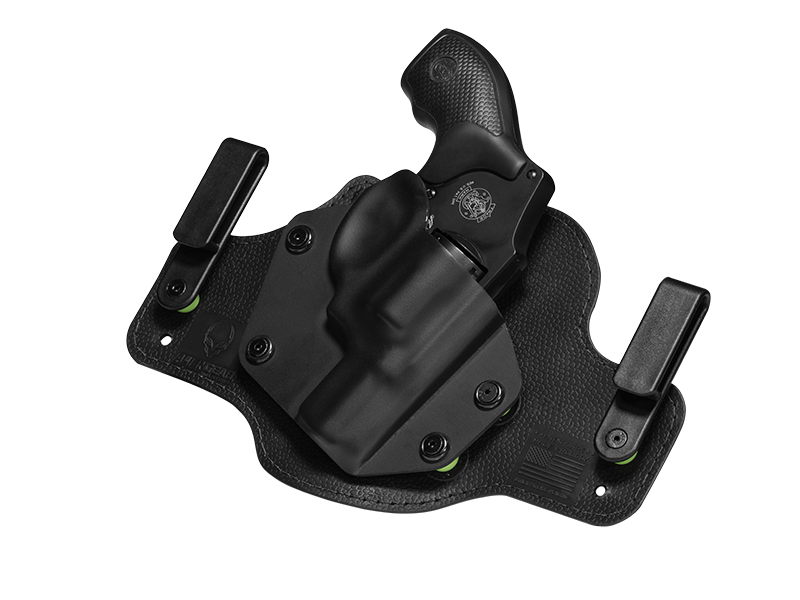 Alien Gear IWB holsters are fully adjustable for ride height and grip cant, so the wearer can set the holster to wear exactly how they want it, with the pistol grip exactly where they want it. For those that prefer to carry on the belt, there is also the Rhino 200ds Cloak Slide OWB, a leather belt slide holster with our adjustable retention shell. 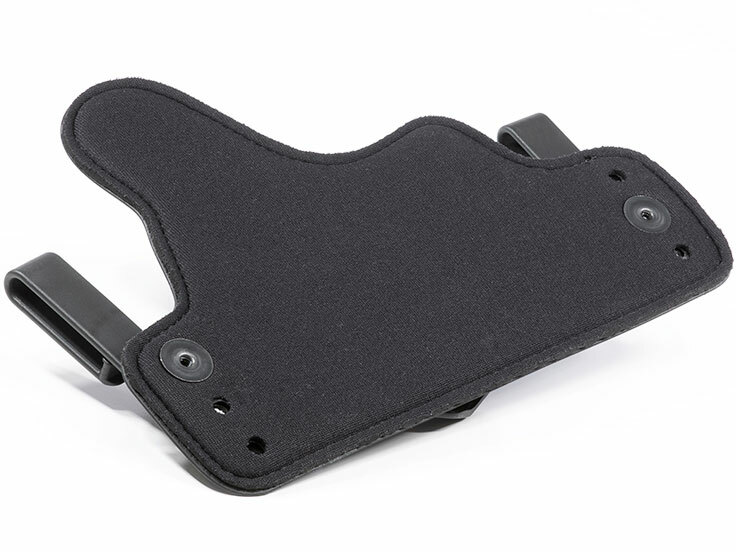 Every holster sold by Alien Gear comes with an Iron Clad Triple Guarantee. This includes a Forever Warranty on the holster itself, and we will repair any defect or damage or replace the holster, forever. We also offer free holster shell trades for life, so you can trade in the retention shell if you ever trade in your pistol. Our guarantee also includes a 30-day Test Drive. We think you should only carry with a holster that makes carrying comfortable for you, so take a month to see if Alien Gear is really the holster for you. If not, return for a full refund. We think you won't want to carry with anything else.